Ficin, an enzyme derived from figs latex, has been found to be active against biofilms. Dr. Kayumov explains that currently different enzymes are used for wound treatment, such as trypsin, chymotrypsin, or collagenase – they clear wounds from necrotic masses and fibrin clots. He says, “If you treat wounds with an enzyme or protease, healing accelerates. Together with our Voronezh University colleagues we decided to try ficin which has not yet been studied well. It’s worth mentioning that its close analog – papain derived from papaya – has already been introduced abroad. We have used ficin against biofilms and found that it works beautifully. Moreover, it has fared better than trypsin. The complexity of the issue is that in biofilms bacteria are suspended in a matrix like in a jelly, and antibiotics cannot penetrate there. In order for them to become active you have to increase the dosage significantly, sometimes thousand-fold. But it’s reasonable to assume that the effectiveness can increase if the matrix is disrupted”. A plant enzyme’s great advantage is that it’s not cytotoxic – a problem often affecting medications. Plant proteins also are in general less allergenic compared to bacterial or animal proteins. However, ficin has not yet been sufficiently studied and has not been patented as a wound treating agent. 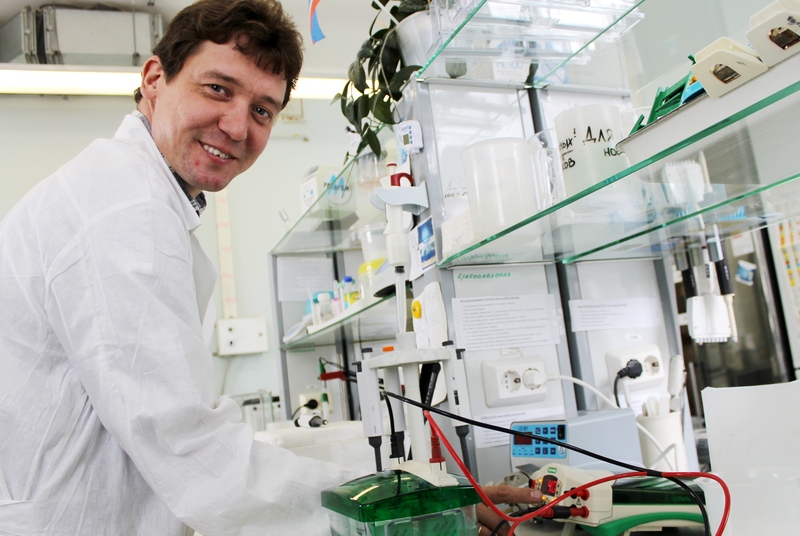 Moreover, according to Dr. Kayumov, a technology for the increased enzyme production may be needed.